I picked up my latest book in a very different manner than normal. Rabbi Yonah Landau walked up to me in shul, as the gabbi [leader guy] and asked if he could make an announcement. Usually, these announcements are requests for money to people in need. in this case, it was a request to sell his book. It looked interesting, so I bought one and finished it quick. It’s 545 pages of simple reading translated from Yiddush. The author apologized ahead of time for problems with the translation and editing. Some of the placement of pictures and chapter breaks are quite jarring. I wouldn’t have picked it out of a shelf or known what it’s about without the author selling it himself, but you won’t find it on many shelves. I did find it on Amazon and a bit cheaper over here if you want to buy it. What it is lacking in polish, it more than makes up for in feeling and paining a picture of Torah Judaism in the United States throughout the 1800s and very early 1900s. 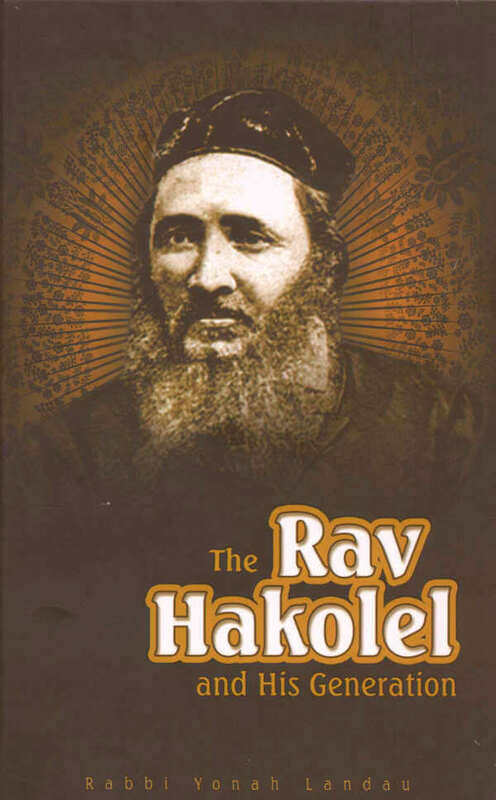 Rabbi Yaakov Yosef, the first and only Chief Rabbi of New York does not enter the book until about page 225. It seems that Rabbi Landau, a Satmar Chassid, is something of a New York Jewish history aficionado. He tells of the previous quasi-head Rabbi, Rabbi Avrohom Yosef Asch, zt’l (1813–1887) whose burial place was forgotten, whose name no one has ever heard, and who doesn’t even have a Wikipedia page yet. It turns out Rabbi Asch is buried in the same cemetery as one set of my great-great grandparents. (Their burial place was unknown by any of the numerous descendants I contacted, so I can relate. I embarked on a similar quest to find their place of burial.) If you search for either Rabbi Asch or Rabbi Yaakov Yosef on the internet, you’ll find mostly links somehow related to Rabbi Landau. He brings people to the grave site and generates interest in the subject in Jewish newspapers. This covers roughly the first 225 pages of the book. To put it mildly, Torah Jews did not adapt to the United States in such a manner as to pass on the traditions from Sinai to the next generation. The book details numerous efforts to start proper yeshivas where Torah could be learned, but the funds usually were simply not there or dried up. Those who came here tended to be escaping something, whether it be persecution or religion itself, while the scholars remained in Europe. It seemed to be a phenomenon where husbands or wives would leave each other for the United States in order to escape divorce proceedings or each other and since the level of scholarship was so low, numerous improper marriages and divorces were conducted by those earning a quick dollar. For “the real thing” you had to pay more, but with no knowledge of what was “real”, few would pay that. The Torah world had not yet figured out how to adapt to democracy, then encompassing 2% of the world’s population. As early as 1816, when the Jewish community tried to shutdown a butcher selling meat marked as kosher without the approval of the community, the butcher won. Anyone is allowed to claim anything in the United States. In Europe, there was a community structure with head Rav in each town. How do you adapt this to “the land of the free” where everyone is his own boss? Parenthetically, this problem is not unique to Judaism. One of my friends, a former Baptist minister who converted to Judaism once said to me in reference to a European trained preacher (Rav Asher Wade), “Yeah, but he was trained in Europe so it means that he actually knows a lot about Christianity.” A Muslim friend once complained similarly that Islam in the United States is hefker [ownerless; okay, he didn’t use the word “hefker”]. Everyone does their own thing and for true scholarship, you need to travel to another country and learn. Back in the 1800s United States there were all sorts of religious movements praying on the uneducated. This is just a much larger problem for Judaism, and still is, because an ever greater amount of learning and knowledge is needed to be a Jew. With the Jewish community structure broken down, the masses of immigrants also happened to be dirt poor and largely uneducated in Torah. Most were only secondarily even interested. There was a plethora of non-kosher food marked as kosher and those with the money and power were largely assimilated German Jews who caused problems for the Torah observant. It was thought that by bringing in a major Torah scholar, the disparate Jews of the United States could unite and there could be some standards again. First, the Malbim was asked but ended up declining in old age. I actually have an entire outline of one his works on Iyov [Job]. This is someone who knows what he’s talking about, but it’s kind of like when the Israeli government suggested that Albert Einstein be the first Prime Minister of Israel. Being a politician, heading numerous people is quote a different task than just scholarship. The European gedolim who were asked to find someone to lead New York’s Jewish community would often write back and ask questions like, “Will the U.S. Government approve?” This is so jarring to me, writing in the U.S. in 2014. What business is it of the government to approve? It gets even more interesting: the leaders of the European Jewish community eventually coalesced around a candidate. The Americans would have nothing of it. How dare the Europeans tells the American’s what to do! The Americans asked for suggestions, not the choice being made for them! It sounds just like James Madison talking about the role of the British in the life of the newly formed U.S. Government, and is the exact attitude which didn’t allow there to be a “Chief Rabbi” in the United States in the first place. Yet, this came from the heads of the Torah Jewish community. Finally, Rabbi Yaakov Yosef was voted upon and accepted. As a student of Rav Yisroel Salanter, zt”l and the Netziv, both very well known Torah giants, he was well respected in Vilna. While numerous other great Rabbis refused to move to the United States for fear that they’d lose their children to assimilation, it seems that Rabbi Yaakov Yosef decided to do so as he was deep in debt and felt up to the task. He borrowed huge amounts of money from the rich to give to those in need, but couldn’t pay it back. At each new Rabbinic post, he required the new community to pay back his old debts without telling them why he needed so much money. He could have stayed in Europe and remained highly respected. In fact, when he came to New York, he was greeted by huge crowds. Once he started, you know, actually trying to do stuff to institute more Torah practice, he was ridiculed. Within a short time the funds to pay him dried up, the kosher food producers had revolted, the Jewish magazines tore him apart, and it is said that he had a stroke soon after seeing kashrus symbol hung in a butcher shop next to pork … all done to embarrass him. After the stroke, he was forgotten, his furniture was repossessed, and though a huge crowd came to his funeral, his descendants no longer keep the Torah and it’s mitzvos. Some of the fights of this era are still known today, most notably, his attempts to raise the standards of kosher food. In doing so, a 1 penny tax, which R’Yaakov Yosef was against (he was outvoted by the board) was placed per chicken to help cover the costs. In japan, I once remarked how Buddhist trinkets were selling with high prices because they claimed to be blessed. The non-Jewish friend with me replied, “Isn’t that the same thing with kosher? Don’t you pay a tax on that to the Rabbis to bless it?” In reality, the blessing doesn’t make anything kosher and the tax didn’t cover the costs, and when the butchers revolted and formed their own conglomeration for kashrus … the costs were paid by the butcher shops anyway. In another one of these holdovers from this era, I once tried to tell a vegan member of PETA that instead of reading the label, she could just see if it had a kosher symbol indicating that it was paerve. Her response: “Huh? Kosher just means they turn the animal upside down before they kill it.” Suffice to say, I didn’t get anywhere with her, but this was another thing that Rav Yaakov Yosef fought against as it’s not kosher to do that! Certainly Rabbi Yaakov Yosef didn’t appreciate what he had done in his lifetime, but then, neither did most others. However, he paved the way for many more Torah-true Jews to enter the United States and try and start placing footholds in the shifting tundra. Numerous starving yet quite learned Jews followed, now less afraid that they would be lost in America. Most turned out to be wrong, and did lose most or all of their children, but they also laid the foundation of many new yeshivas which finally raised a new generation of learned Jews in the United States. Among them was Rav Avigdor Miller, zt”l and Rabbi Chaim Pinchas Scheinberg who were fully American and fully able to bring Torah to Americans in a way we would receive it. Many new and knowledgeable shochtim [meat slaughterers] also immigrated. While the attempt to fix kashrus in the United States was met with such a backlash, it bred competition and started a capitalist sort of arms race which, in the end, greatly increased kashrus in the United States. The Eitz Chaim yeshiva was founded and sustained. Today, it is part of Yeshiva University, and while the author bitterly complains about the direction the yeshiva went, he does not argue that in earlier times it certainly was the only place for a true Torah education beyond simply learning how to read Hebrew and know a few prayers (which, on another side note, covers about 90% of what I learned in the 1980s in a reform Jewish education). Torah learning used to continue until 4pm, and only then would secular learning begin. While there are plenty of flaws to pick out on this institution, it has certainly raised generations of large numbers of Torah observant Jews who passed on Torah to their children. As recited above, even the leaders of the Torah Jewish community in the United States at the time wanted suggestions for their Rabbi. They didn’t want the choice being made for them. So goes democracy. My own American Jewish community today has so many shuls and one potential candidate to unite everyone as a “Chief Rabbi.” This Rav refuses, remaining in his yeshiva teaching Torah with only occasional talks at shuls … when invited. If I’m not happy with a certain shul, I go to another. There are few communities which are the exception. Elizabeth, NJ and Monroe, NY come to mind as decent sized Jewish communities organized with one structure. Even there, if you so chose, you could open your own synagogue or advertise your own kosher butcher and aside from social pressure, no one can legally stop you. You can legally, as people say, “be a member of the community” as you choose. Such Torah Jewish communities are growing all over today. The book has many references to Jewish newspapers run by those against Torah Judaism which had an effect on the masses. It’s hard for me to understand today, but it seems that reform Jewish media, which wanted nothing more than for Jews to abandon the Torah and assimilate, had a huge effect on people. Further, assimilated Jews pushed for other Jews to work on Shabbos and dress like Americans whereas the general population is more accepting. This was before the Satmar Rav came and separated entirely from other Jewish communities, and before even Rav Moshe Feinstein zt”l said not to interact on a religious level with reform and conservative institutions. In Germany, in took until the 1880s for Rav Samson Hirsch zt”l to split from the reform community, his congregation being a tiny minority. In the United States during the time of Rav Yaakov Yosef, it seems no one was truly ready to split and these “members of the community” brought the whole thing down. These attitudes continue today amongst the majority of Jews in the United States, but have largely been stemmed in the Torah world. Torah and mitzvos are the primary thing for me, but I also work with a yarmulke on, take off every Jewish holiday, and I’m very unapologetic about it. It’s still a struggle to balance, but with so many around doing the same, there’s plenty of support both legally and socially. This world has largely insulated itself from the ideals of the assimilationists, and Rav Yaakov Yosef tenure was a stepping stone. Today, the assimilationists are losing their voice having huge apathy in their communities in general and those who care being almost entirely separate from them for religious functions. The assimilationist heterodox movements having been largely successful in making themselves disappear. Their voices in their own media are not even heard by Torah observant Jews today, and are often just plain sad or laughable at this stage in history. If it’s written in “the Jewish Forward”, one of the only remaining socialist Jewish newspapers, it stays there. Even this paper has since moved “to the right” from where it was. Yet the non-assimilationist Jews have also adapted to the outside world by using democracy as a tool to further Torah. One of the largest yeshivas in the world, the Bais Medrash Govoha in Lakewood, NJ where thousands learn full time daily, gives teaching positions to those who have other students sign up to learn from them. Each receives the same small stipend, except for a few administrators. Democracy is now used to further the study of Torah and make it stronger. Those who choose to join the system now find a lot of depth and a competitive environment in not only learning and meaning of life, but to a lesser extent food, vacations, camps, and schools. Like a planted seed which at first decays, the tree that comes out grows much stronger with firmer roots. Perhaps this is G_d’s plan.